From 2004-2009, The Balvenie did an annual 17 year release of whisky with finishes that were unusual to the distillery. You’ve may have seen or tried the Madeira Cask finish release and possibly the 17 year RumCask. In 2005, David Stewart took 79 casks of whisky aged for 17+ years and finished it in new oak casks that had never held any spirit before. This isn’t that uncommon these days, but it was certainly unusual at the time. Unlike the 2006 New Oak release which featured ex-bourbon and ex-sherry cask whisky, this release was 100% ex-bourbon. Nose Wow, this is quite minty. Floral and sweet with heather, honey, light caramel, almond, doughy, prunes. Soft but inviting. Taste Spicy, bourbony, typical Balvenie sweetness, orange, sugary, just a hint of peaty earthiness, nice vanilla, orange, 2x4s. It's not overwhelming, but I can taste the new wood influence here. Finish Drying, more earthiness that I expected here, anise, some raisins, more spice. Those mint leaves hang on long after everything else. 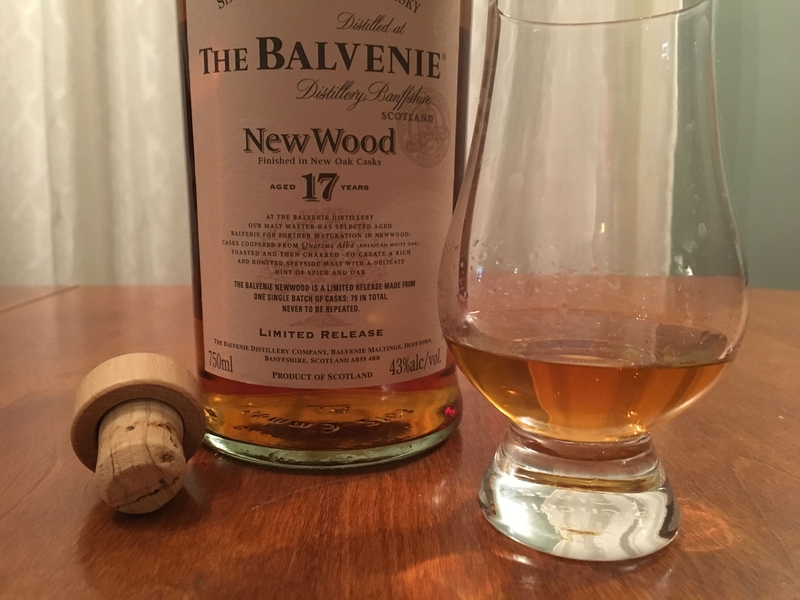 One of the longer Balvenie finishes I've experienced in a long time. Overall Thoughts It's good but it's certainly not my favorite of the 17 year releases. The nose on this one leaves a bit to be desired. I like the experiment though and I'm glad I've had an opportunity to try it.